It started few weeks ago, we had our lunch, and we discussed that it would be a great idea if we have one neck pillow so we can at least lay down our head when we have a break. Especially me, for I am recently experiencing biweekly 'fun' trip haha. Then days passed, the idea of having a neck pillow was about to be forgotten. 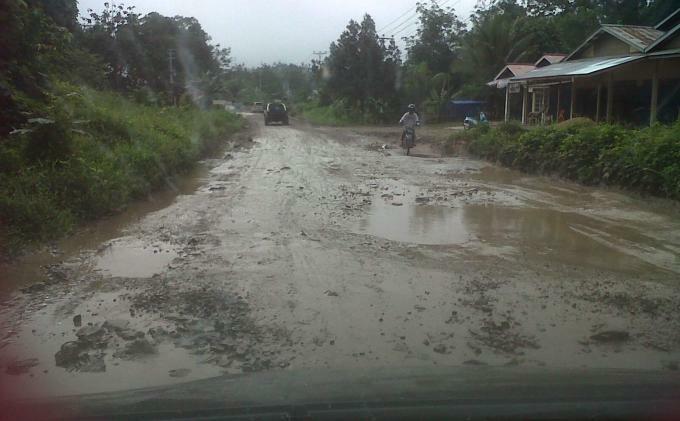 Till 2-3 days ago I shared to facebook a photo-news from a local digital news portal, which attached one of the very pathetic infrastructures of my beloved West Borneo. Seemed that she did, and does, appreciate my effort to go to the vacation venue biweekly *oh, it was just a metaphor of a feeling of a pity on me for having passed that messy streets ;p*. Then she imagined how hard my effort to pass the street regularly, and how nice it would've been if I had had one neck pillow. So the day after, she decided to buy one for me. 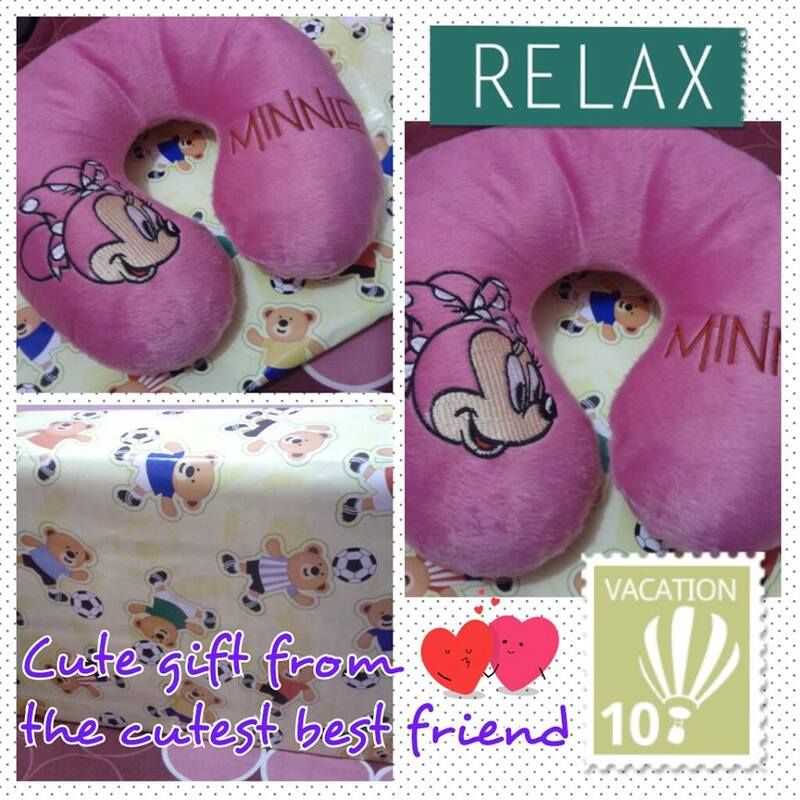 And just yesterday, in our dinner time, for I can't stand on my fatigue *oh, this is an exegeration haha*, I said to her that I more felt like to buy a neck pillow so soon, she replied, "Easy lah itu kak", without realizing that she actually has brought the present for me since the very first session of our vacation. At that time, frankly I just thought that she said it because she considered to accompany me buying it. Then surpriseeee. 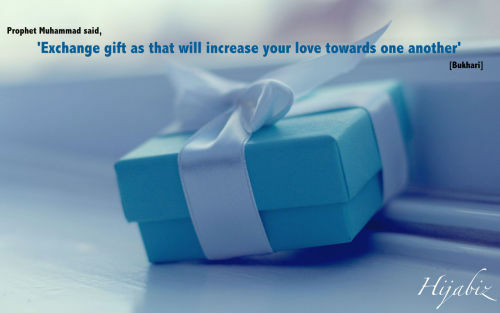 There we go, practicing the verse: "Exchange gift for it will increase your love towards one another" and prove it ourselves! Especially me, I feel sooo special. Yes, that's what I felt, and still feel, when my lovable 'teman sebangku' in my vacation venue surprised me by giving a cute neck-pillow on our way to the parking lot when the vacation session was over. So surprising! 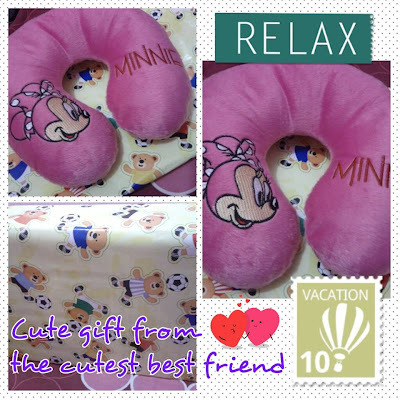 Neck pillow is a really good pillow.This pillow is support our neck when we'll go to sleep. its also use when we are talking with others on the sofa. so we should use this Neck pillow. Thanks.